At the start, I had no idea I had the untapped energy. That I’m not a sloppy seaweed in the sea of emotions. I don’t have to surrender. That’s what it feels like sometimes doesn’t it? I didn’t know the ways that I could shape the feelings, encourage them, imagine them, craft them, shift them – like changing lanes on the motorway (something sloppy seaweed almost never does). I didn’t know that I was in charge. And then I met my calm. Because I had no idea it was there, I’d never really looked for it. Then one day, I was in bed… I’d been there for a while on account of the cancer… I found it. It was better than… discovering halloumi cheese. It was… bliss. Yep bliss. Living in my body. And I came to realise that it was there all the time. I found it, only when I was being still… and quiet. It was in my belly under piles of trunks full of feelings – which I had to put, un-ordered to one side – and suitcases flowing over with memories. On account of this, I can’t spend time with it all the time. 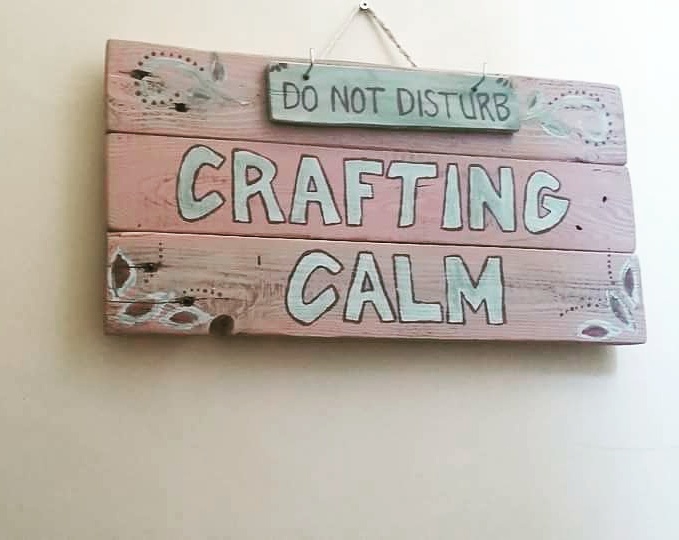 CALM CRAFT: look for yours, don’t worry if you don’t find it straight away, just know that it’s there.